Contemporary Tea Time started with a view to serve the tea trade and industry by providing a public platform for the planter, the broker, the buyer and the consumer. Above all, the lover of tea. The magazine had a humble beginning. 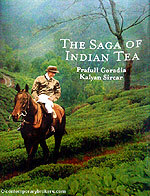 A black & white 24 page affair, it opened to the tea world on a cold December morning in 1989. A kindly friend suggested we go in for colour and lo behold the next issue blazed forth in many splendoured glory. Our graphic designers were young but agog with enthusiasm to start on their maiden venture. Contemporary Tea Time gave them a loan to buy their first computer. The next step was to find a journalist and we were lucky to be able to procure the services of a veteran, Mr. S. Dharmarajan, recently retired from Times of India and after that we were on our way. In the last few years the base shifted to Kolkata and the magazine is being ably edited by two journalists of the INKPOT team. Tea Time is a non-profit venture and is subsidized by the company. Friends from far and near were soon regularly writing to us ?Maxwell Fernando from Sir Lanka, Norman Wilson from Mombassa, Richard Warren and Kalyan Sircar from England, Monjur Hossain from Bangladesh, James Norwood Pratt from the USA, thus broadening our links with the international fraternity. Over the years Contemporary Tea Time has met up with tea veterans, both the older koi hais and the bright young Indians now in command, cajoled and coaxed stories from them, interviewed policy makers in Delhi, dug up old records and produced a number of tales on tea. Of pioneering planters ?pink cheeked recruits, fresh from Britain, seeking a career in tea. If lucky there was a billet in the head office in Calcutta, otherwise it was a slow boat up the Brahmaputra to a remote garden in Assam on what was fearfully described as a one way ticket. There was no guarantee of return. Vast tracks of fever infested jungle had to be cleared, fierc?tribals and wild animals to be encountered. A young planter wrote to us of how once after miraculously recovering from a deadly fever, he was shocked to find an empty coffin in his verandah. His company had given him up for sure death! There are stories of brave Indian entrepreneurs who inched their way into what was once the white man’s preserve building up the great industry we cherish today. We have highlighted their overriding social concerns - for tea today remains one of the few industries which has an outstanding record of providing comprehensive care to its workers. When East meets the West there are bound to be humorous encounters and sure enough we have a doctor-in-tea sharing with us a touching but hilarious farewell address from the garden babus. Along with growing Indianization, the industry has seen many changes over the years ?wooden chest being replaced by the jute bag causing an enormous saving of trees and computers overtaking manual auctions. 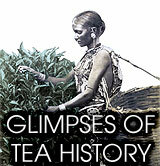 Contemporary Tea Time is proud to have survived for 21 years to tell these tales, when many other international journals have fallen by the way side. If we have done so, it is largely due to the love and appreciation we have got from our readers. This has been our justification and our pride.